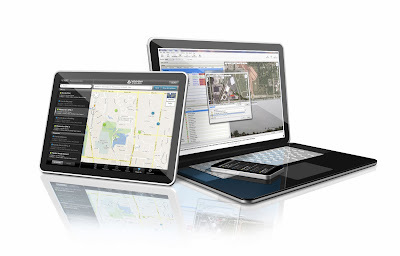 Editor's note: Today we hear from guest blogger Paresh Nagda to find out how Navman Wireless, a global leader in GPS-based fleet optimization, uses Google Maps to monitor more than 190,000 vehicles for over 16,000 customers across five continents. This post is part of our series on the Transport and Logistics Industry and the ways they’re relying on Google Maps for Business to get people, products and assets to their destinations faster. Every day, all over the world, millions of drivers hit the road to deliver goods and services. For our 16,000 customers – in dozens of sectors as diverse as mining, construction, transport, street cleaning and more – fleet monitoring is critical to their business success. Owning, operating and maintaining a vehicle fleet is a big expense, so more organizations are turning to advanced tools to maximize those assets. At Navman Wireless, our fleet optimization platform allows companies like Rio Tinto Group, Lloyds Pharmacy, JC Restoration, and Riviera Utilities to manage workers and keep track of important assets. Before Google Maps, we had a hybrid solution – Microsoft Bing Maps combined with an in-house map engine. It was a drain on cost and engineering resources, and we struggled to keep data current. For example, map data updates required hours of our engineering team’s time; now with Google Maps, all updates are made automatically. Google Maps was an obvious choice for us because it’s a cost-effective, reliable solution that works across geographies. We have customers in 14 countries who rely on us 100% to manage huge multimillion-dollar fleets, projects and logistics systems. With Google Maps, our customers see a visual display of their fleets constantly updated in real-time. One cool thing our customers love about Google Maps is the ability to use reverse geocoding to translate GPS data points into human readable addresses, so they can see where drivers are at all times.We can also draw polygons on maps to highlight customer sites, so they can see which trucks are coming and going. Our customers can’t stop raving about Google Street View and traffic information. Dispatchers use Google Maps to get real-time traffic information and preview streets to help their drivers be more efficient. For example, a dispatcher could tell a driver to take a different route to avoid traffic, or to take a side road to deliver a package, since Street View shows the freight door is located on a back alley. Using Google Maps has lots of benefits, but perhaps the best one is it just works — and that means we can focus on our work. Previously, 12-15% of our customer service calls were related to problems with our maps. Once we switched to Google Maps these calls went to almost zero. Our customers love how easy Google Maps are to use, and so does my engineering team. Quite simply, Google Maps helps make the Navman platform more effective, interactive and engaging for our customers.